A monkey has been born after scientists successfully froze and thawed testicular tissue using a technique which could offer hope to young cancer patients. Experts said the study, published in journal Science, was a “major step” towards developing fertility-restoring treatments for boys who undergo potentially sterilising procedures. Treatments like chemotherapy can lead to infertility and, while it is possible for men to freeze their sperm ahead of treatment, pre-pubescent males are too young to produce it. 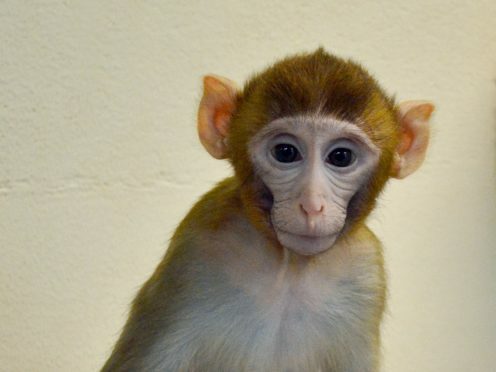 The scientists, from the University of Pittsburgh School of Medicine, removed a testis from five young rhesus macaques and froze the testicular tissue. The animals then underwent chemotherapy. As the animals approached puberty, the researchers thawed the tissue samples and implanted them back in the animals, along with fresh tissue from the remaining testis. The team found that after a few months, the tissue had produced sperm, which was used to generate embryos and transferred to females. Grady, a healthy female rhesus macaque, was born in April 2018. Dr Rod Mitchell, from the University of Edinburgh, said: “This study represents a major step towards developing treatments for restoring fertility potential in boys facing sterilising cancer treatment. “Since 2016, we have been freezing and storing testicular tissue in boys at high risk of future infertility as a result of their cancer treatment. This study provides proof-of-principle for restoring fertility potential in these boys when they reach adulthood. “This is the first primate study to show that pre-pubertal testicular tissue can be successfully removed, cryopreserved and re-transplanted, resulting in the development of sperm that can generate a live birth.